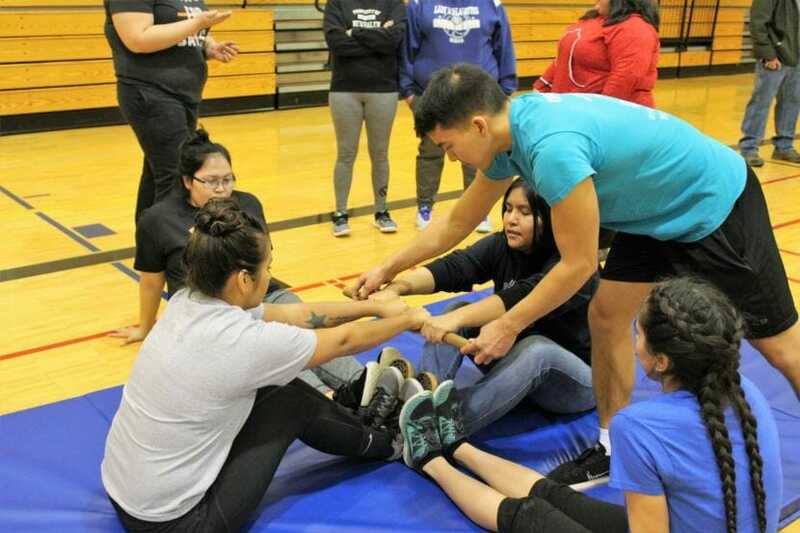 Every year, hundreds of students from around the state gather in Anchorage for the Native Youth Olympics. But Juneau hasn’t sent a team in more than 30 years. 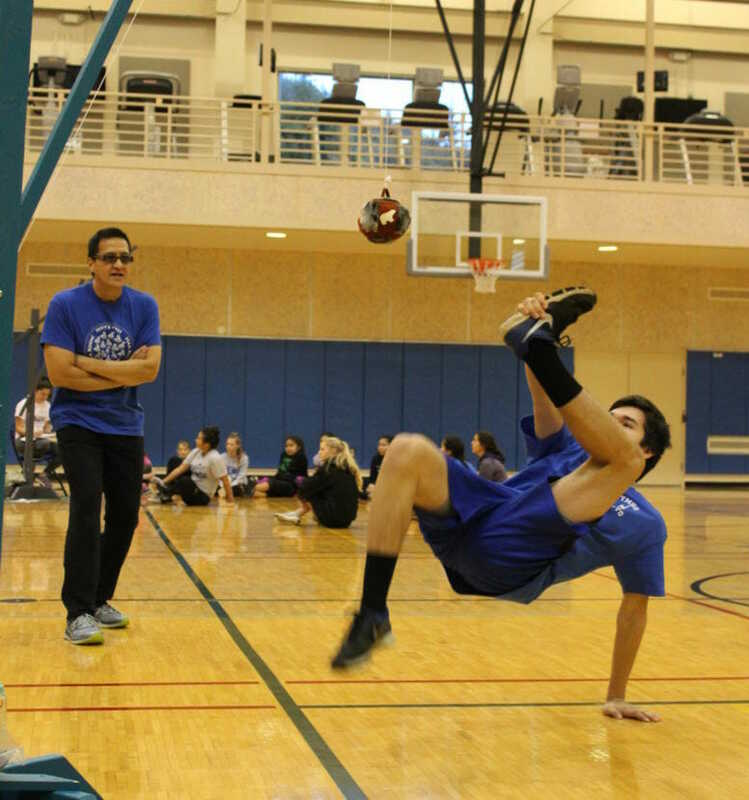 Recently, athletes gathered in a gym on the University of Alaska Southeast campus to test their skills. 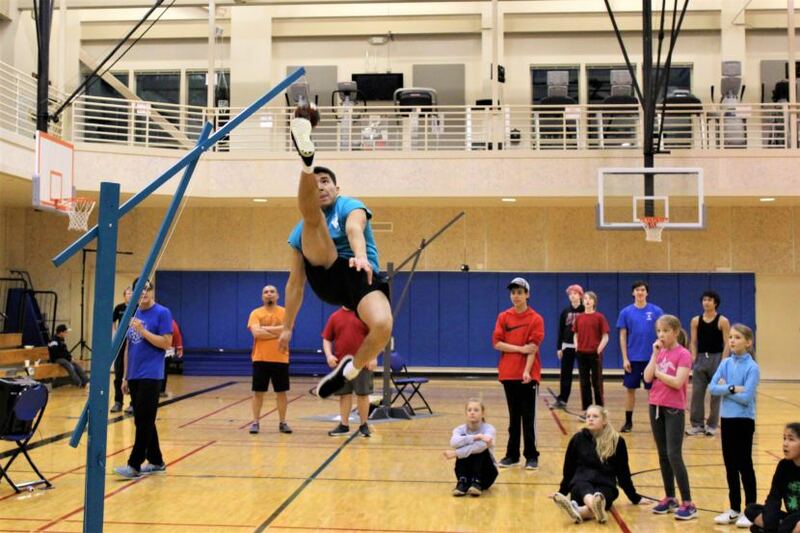 For the Alaskan high kick, one of the main events in the Native Youth Olympics, athletes position themselves one by one beneath a small, furry ball hanging from a pole about five feet off the ground, squatting on one foot while holding the other with their hand. Each athlete pushes off suddenly, kicking one foot into the air above their head while still holding the other, in a kind of pretzel-handstand. Their foot meets the furry ball, leaving it swinging as they fall back to the ground. The statewide competition tests strength, agility and, in some cases, pain endurance. For the first time since 1983, Juneau is putting together a team. Kyle Worl is the coach and leader behind the effort. Worl has been visiting Juneau high schools and recruiting students since the fall. About a dozen of them practice twice a week at each school, mastering the events they hope to compete in at the state competition in April. The games began in 1972 and are open to all high school students. One boy and one girl from each team compete in each event. The games test skills that were key to survival for Alaska Natives. Many events reflect subsistence hunting practices, like the Eskimo Stick Pull, the favorite of Juneau-Douglas High School senior Derrick Roberts. The game involves two opponents seated across from each other trying to pull a stick from the other’s grip. Roberts is undefeated so far. Sportsmanship is central to the games, because working together was traditionally critical to survival. Worl said it’s part of what drew him to Native Youth Olympics. Worl didn’t get into Native sports until he was a senior in high school, but now he competes with other adults every year. The World Eskimo-Indian Olympics are every summer and the international Arctic Winter Games take place in March. He routinely medals and holds a world record for an event similar to the high kick. This winter, Worl will demonstrate several Native games at the National Museum of the American Indian in Washington, D.C.
Kyle’s uncle Ricardo Worl was Juneau’s coach back in the 1980s. He said the games offer an alternative to typical high school sports. But, there’s more to it. Tryouts for the team are March 30-31. Ricardo Worl hopes to bring between 10 and 20 high school students to Anchorage, so he plans to step up recruitment after winter break. They’ll also look for ways to pay for the trip. The team will fund raise and search for local sponsors. The Sealaska Heritage Institute already is helping out.